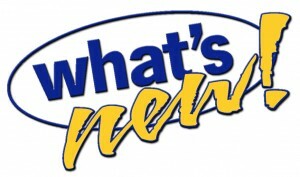 Check out “What’s New” below! CCG on November 6, 2016! CCG has installed our newest and very exciting piece of equipment, it’s a NEW AAI Elite Ring Tower, we purchased from the USA Gymnastics Olympic Trials this past July in San Jose, California. They were used during this event and we are excited to finally have them installed. 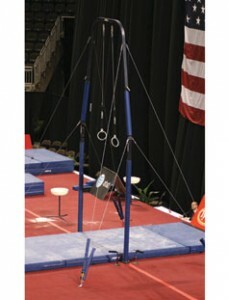 If you have a boy who wants to hang on the rings like an Olympian now is a great time to bring him to CCG! Check out our current Recreational Class schedule and set up a trial class! Champions are not born, they are developed over time. Why wait any longer, give your son the time to develop his champion! 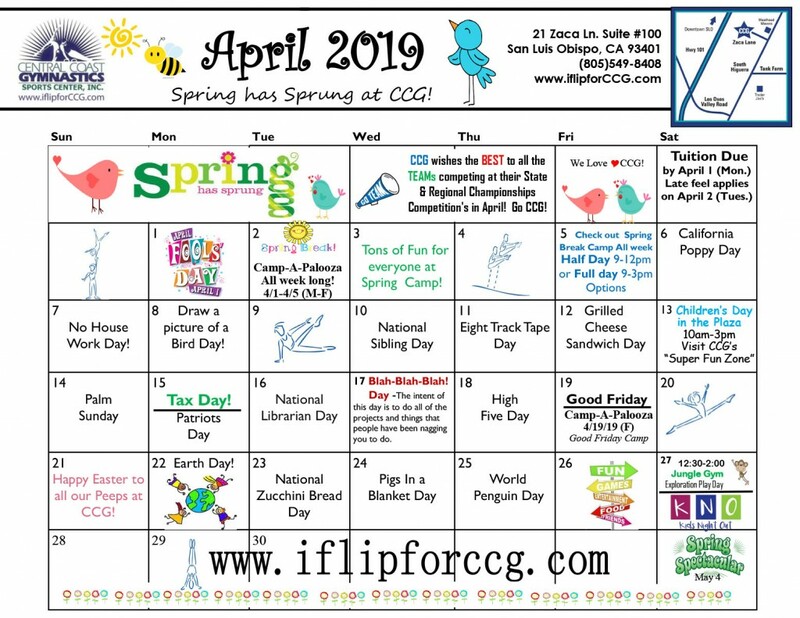 Call CCG now at (805)549-8408 or stop by! all NEW Covered Foam Pit Blocks! CCG has invested in our children’s health, buy purchasing foam pit cubes that are covered, no more break down of the foam that the children will breath in. Our pit is now another healthy part of CCG fitness and Fun. We are the only gymnastics gym on the Central Coast to have a pit with covered foam block cubes. It’s a great time to come in and learn more. We are forever grateful for all the wonderful help we had on this Sunday, to help us remove all the old foam blocks, clean the pit with (3) shop vacs, and then throw in 75 bags of New covered foam block cubes! It’s is truly amazing and so much fun! Here are some pictures to show steps of our pit cleaning. Thank you, thank you, thank you, thank you, thank you, thank you, thank you, thank you….to all our wonderful help!!! CCG opened it’s Gym #2 across the parking lot from CCG’s current gym! CCG is now one of the premier, state of the art Gymnastics Gyms in the State of California. Just in time to celebrate our 25th Anniversary and the 2016 Olympics in Rio! One more new business to be announced! 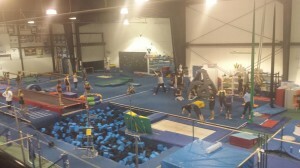 Our new gym will have a full size cheer floor, 84 ft. Power Tumbling floor, 84 ft. runway to our double mini trampoline with new Landing Zone, and (2) new full size competitive, above ground Trampolines, along with other different sized trampolines and 40 ft. tumbling air track floor! All of this added to CCG’s amazing current facilities, will make us the BEST place to be for your children, and you too! With 25 years of business experience in San Luis Obispo, why would you go anywhere else? CCG started in July of 1991 from the ground and built it’s business one customer at time for the last 25 years. Knowledge, experience, and customer care service you can’t just buy, it’s earned and learned. We look forward to meeting and inspiring your family. Come see what everyone is talking about! 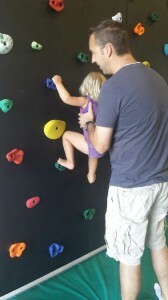 Enroll now in any of our programs and get to climb the wall too! Builds Confidence & Core Strength! It’s not only like a giant puzzle that just begs to be solved, indoor rock climbing is hard work too! Love, love, love this place. When ever my kids are there they don’t want to go home. It’s great to use the “Kids Night Out” so the wife and I can go out for a nice dinner and not worry about the kids. The staff is really nice and the place is really clean. I couldn’t say enough good things about this place. With PE going by the way-side in the schools I love that my kids can get a good workout and have fun doing it.